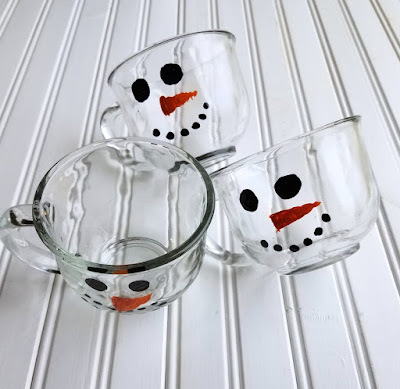 These simple snowman mugs and plates are a perfect winter DIY. They are cute, dishwasher safe and darling filled with white hot chocolate or cookies. 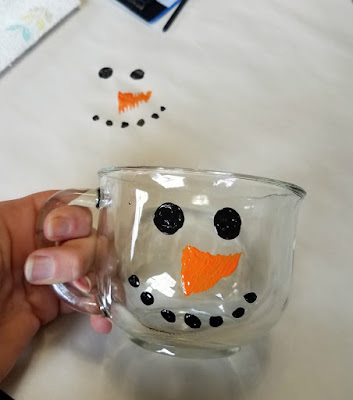 Whether you make these easy snowman mugs and plates for yourself or make them to gift to others, they are sure to get a smile out of everyone who sees them. 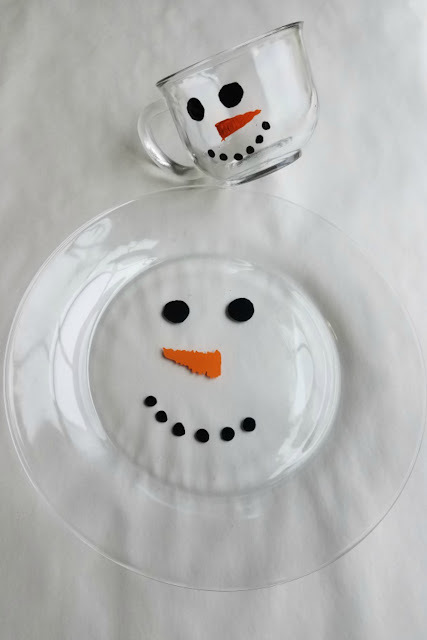 The plates make for a perfect base for all of your holiday cookie trays and the mugs are adorable when filled with white hot chocolate or steamed milk. Unfortunately I was not born with the art gene. My skills basically start and end with stick figures. I suppose that's why I majored in chemistry and not fine arts! But that doesn't mean I don't like to try every now and then. I just have to be realistic about my skills. With a really good tutorial I can usually churn out a cute craft or two, but if I'm doing something "original" it had better be simple. So when a box full of fun art and craft supplies from Plaid showed up at my door, I was excited but also had a bit of trepidation. I had tons of big ideas, but know myself well enough to know I should start with something easy. There is no such thing as doing art and crafts at our house without involving Little Dude. In fact, he is usually the one leading the show. So I thought it would be fun to do a project we could both do and enjoy. I ordered some big glass mugs and got some glass plates as well. Folk Art's enamel paint is made for painting on glass and it's top rack dishwasher safe. 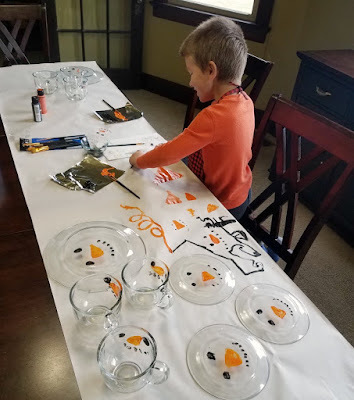 So it was perfect for painting snowmen on our glassware. You do want to paint on the side of the glass that doesn't touch food. So we painted on the outside of the mugs and the underside of the plates. We prepped the surface by wiping it down with rubbing alcohol and protected the table with newsprint. Then we went to work. Some black circles for eyes and a mouth are easy to do and if they aren't perfect, neither is coal... so it works! Then an orange carrot nose and your snowman is born. You can cure the paint by just letting it sit out for 24 hours, but we couldn't wait to use our mugs. So we let them sit for an hour and then cured them the rest of the way in the oven. They looked darling filled with peppermint white hot chocolate. I'm sharing that easy recipe tomorrow. 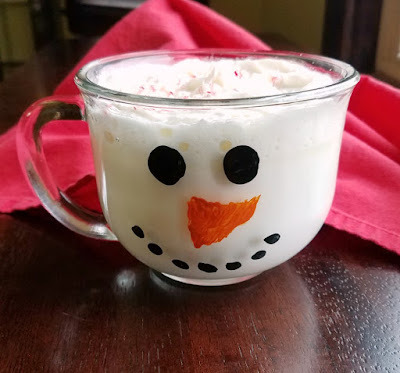 They would also be a fun way to gift some white hot chocolate mix or filled with the vanilla milk recipe I'm sharing next week. The plates are going to be a darling bonus to recipients of cookie trays this year. What a fun little keepsake once the cookies are gone! Be sure to enter below so you can win some amazing crafting supplies for yourself! What are your favorite diy projects? Be sure to enter below to win some great supplies to make this and a TON of other projects! ...and many more. Check out Plaid's collection of DIY craft projects for more inspiration! 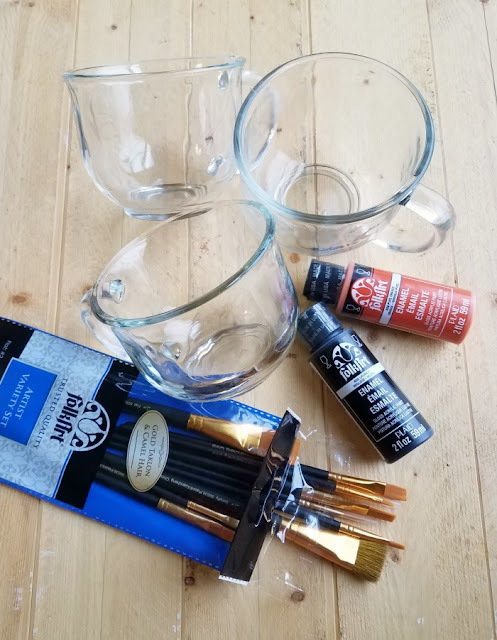 One winner will receive a prize pack of craft supplies from Plaid. No cash value. Open United States to adults 18+. One (1) winner will be chosen. Prize must be claimed within 48 hours of announcement or a new winner will be drawn. Prize will be delivered by the sponsor, Plaid. All entries will be verified. This giveaway is in no way associated with Amazon, Facebook, Pinterest, Twitter, Instagram, Rafflecopter, or any other entity unless otherwise specified. Giveaway ends 12/19/2018. Enter using the widget below. What a brilliant idea, to be honest, I think my boys would still love these!! Then you should definitely get some of that enamel. It is top rack dishwasher safe and so fun to use! Aw, thank you! We had a lot of fun doing them! I would make an Easter project cuz it will be here b4 we know it! I think your snowmen came out cute though Carlee! Perhaps next yr I will make one. It will be time to be thinking about Easter before we know it! Thank you! I have done mugs like these too and gave them away as gifts with hot chocolate in it. So simple and cute - love it. Thanks for sharing. That would be a perfect gift! These are super cute! What a fun idea and my kids would really like these. 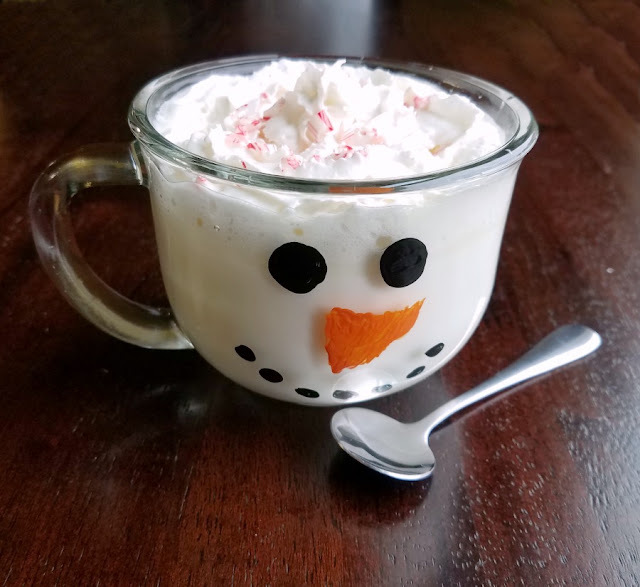 They are a fun family project and look so cute with white hot chocolate or vanilla milk in them! What a fun idea. I can see this being a great activity at a family party. Thanks for sharing on MM.